Armeni Villas offers villas with private, outdoor hot tub or pool and breathtaking views over the Caldera and the Aegean Sea. 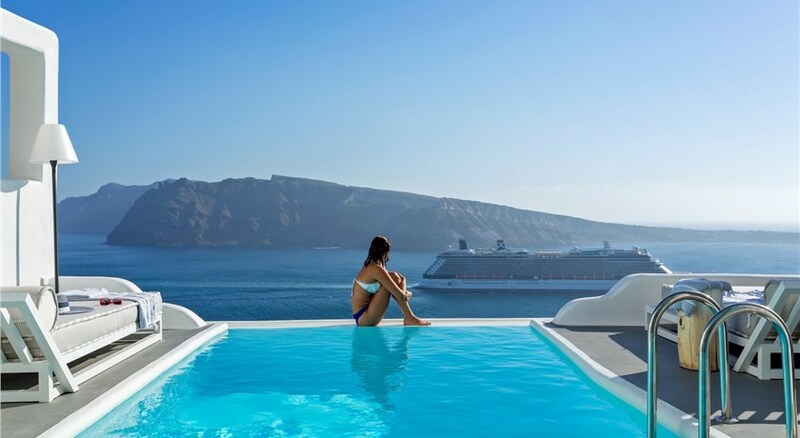 It is situated in the cliffs of Oia , 200 metres above sea level. 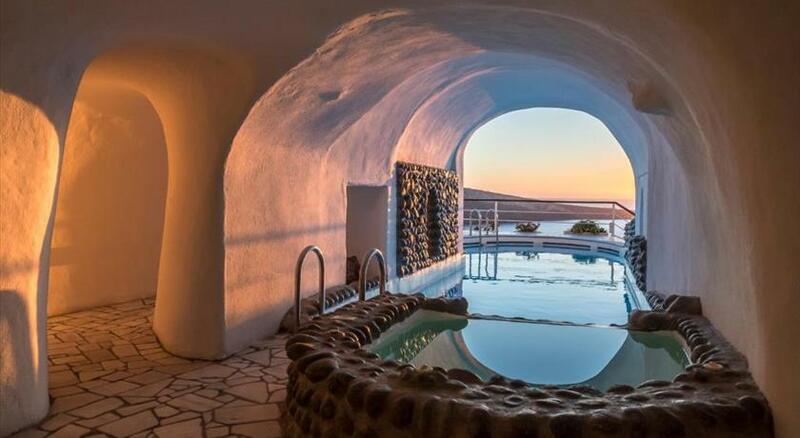 Each of the Cycladic villas is built in the volcanic rock. They have an elegant living room and a bathroom with hydromassage shower or tub. Armeni Villas are equipped with individually controlled air conditioning and heating. Each comes with a satellite TV, DVD player and minibar. Internet access, bathrobes, slippers and luxury toiletries are free. The concierge office can arrange for tours, cruises and yacht rental. Services include transfer arrangements from the port and the airport, and charges apply. Armeni Luxury Villas is situated near the Nautical Museum, at the centre of the traditional settlement. The distance from the airport is 20 km, and from the port 24 km. Fira, the capital town, is 12 km away. Taken from a drone fly over that shows the hotel from above. 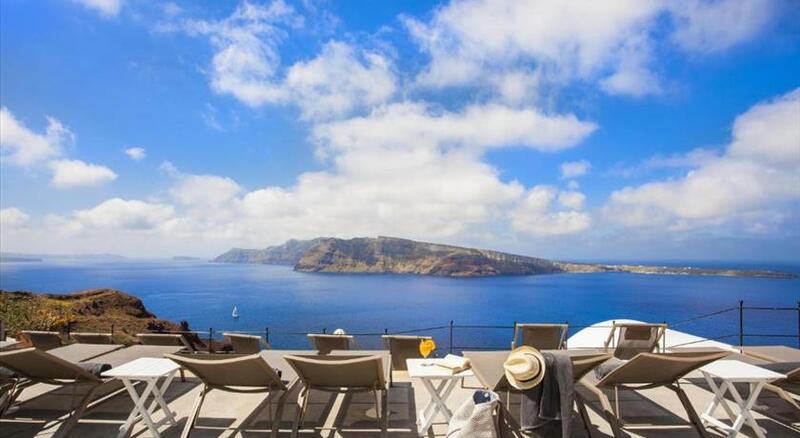 Armeni Luxury Villas is located in Oia's caldera.